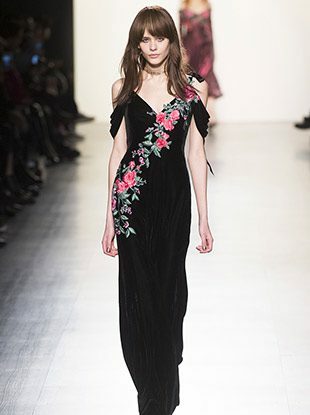 See all the Tadashi Shoji Fall 2019 looks from the runway. 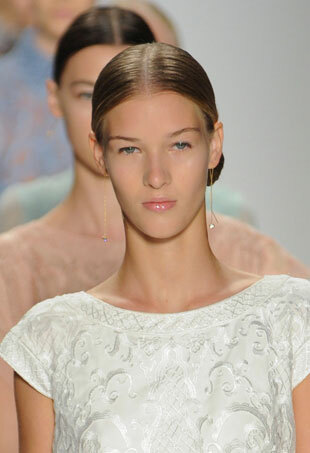 See all the Tadashi Shoji Spring 2019 looks from the runway. See all the Tadashi Shoji Fall 2018 looks from the runway. 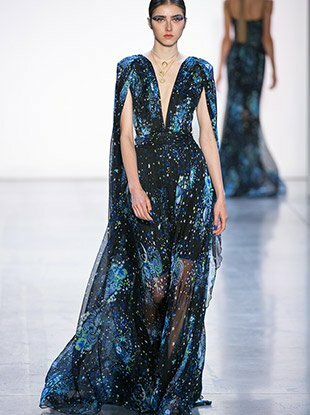 See all the Tadashi Shoji Spring 2018 Spring 2018 looks from the runway. See all the Tadashi Shoji Fall 2017 looks from the runway. See all the Tadashi Shoji Spring 2017 looks from the runway. 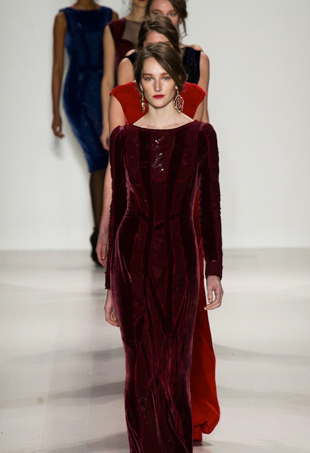 See all the Tadashi Shoji Fall 2016 looks from the runway. See all the Spring 2016 looks from the runway. 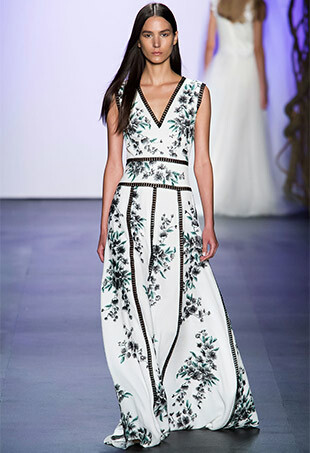 See all the images from the Tadashi Shoji 2016 Resort show. To celebrate the gift-giving season, we've tapped some of our favorite designers to share their worst holiday gifts. 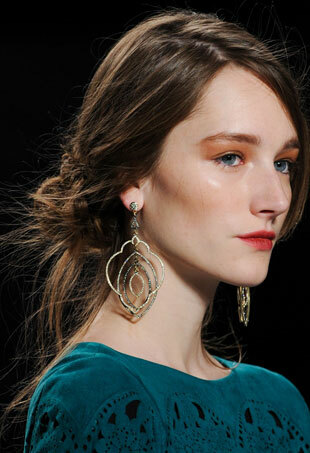 Beauty inspired by the designer's Venetian theme. 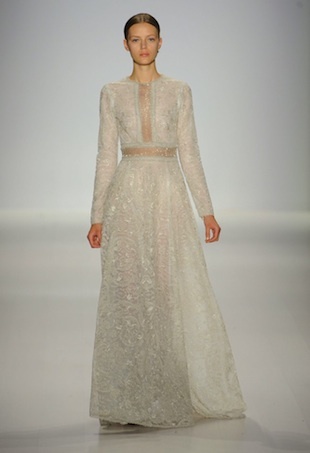 See all the looks from the Tadashi Shoji Spring 2015 runway show. To satisfy our need for a peek at what’s to come for Spring 2015, we asked some of our favorite designers to tell us their #hashtag mantras for the season and NYFW. How-tos for the best hair of Fall 2014 to wear all year round. Who is going to channel their inner Gwyneth Paltrow/Tom Ford and wear one of the designer's capes off the runway? The designer answers our quickfire questions as he prepares for his upcoming show. While we wait with bated breath to see who’s wearing what, take a look at some of the most glamorous gowns we hope finally receive their major moment in front of the flashbulbs. 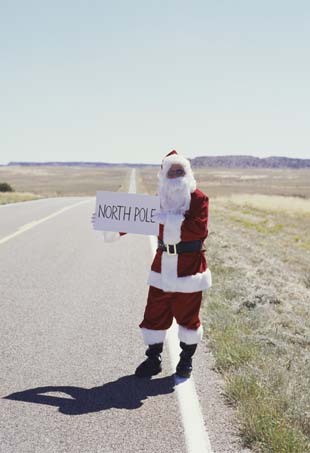 More yoga, less candy...Here's a look at what some of our favorite industry insiders are hoping for in 2014.